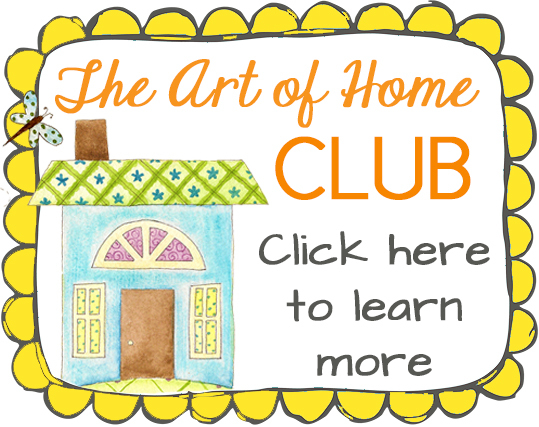 « YOU Can be in the next issue of The Art of Home, my e-magazine! 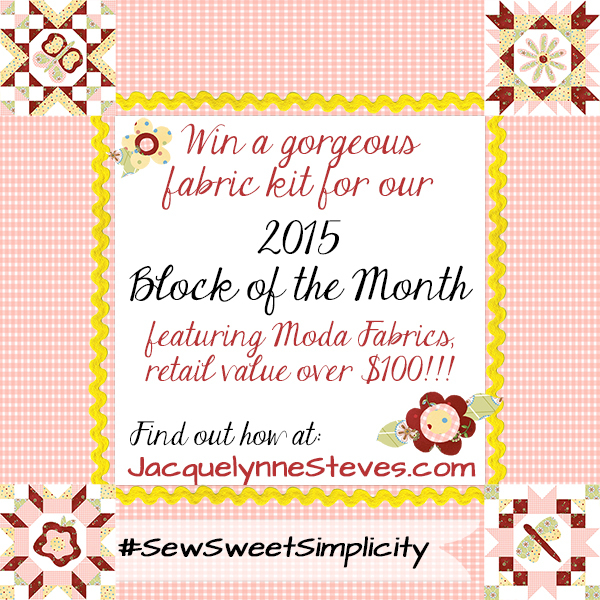 Sew Sweet Simplicity Project Contest!! This is sooooooo exciting! I hope you will all join in- Today I am announcing the “official” rules for our Sew Sweet Simplicity Project Contest!! I have loved seeing all of your projects, and I thought it only fair to offer a prize- and to give you a little more incentive to finish up your projects and send me your photos! You have over a month and a half to get your projects done, and you don’t have to use all of the blocks- so you have plenty of time… In fact, you have time to send in an entry even if you haven’t worked on a single block yet! You could tell your friends to sign up as well, and have a little sewing party. Click here if you haven’t signed up yet– you will get ALL of the block patterns, border instructions, a bonus tote bag pattern, and more. Yep- FREE. 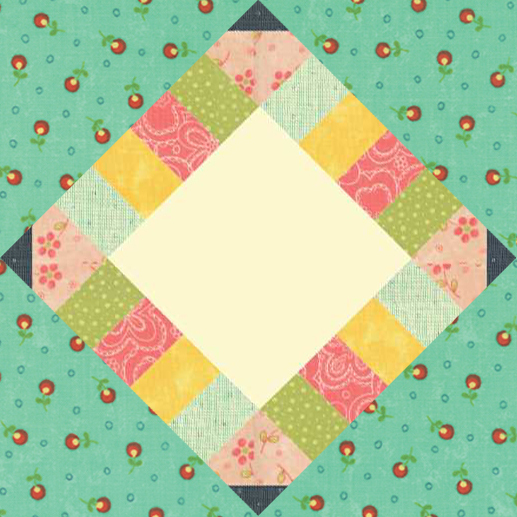 –Quilt tops do not need to be quilted, but should be completed up to the quilting step (ie. borders included- we need to see what the completed quilt will look like). However, smaller projects such as pillows, tote bags, etc. should be completed. –Send 1-3 good photos of your project. You can show us closeups of your work, and show us your project from different angles if appropriate. –Optional- tell us a little about your inspiration, fabrics you used, etc. –I retain the right to post your photos on social media and/or my blog/web site for promotional purposes, using your first name only for reference/credit (no profile or personal information or links will be shared publicly). You retain the rights to your photos. –Open to US and international entries. –Winners will be announced on or around May 1, 2015. Please be sure to read through the rules carefully and follow them- I wouldn’t want to have to disqualify someone on a technicality! And now, of course, the important stuff- the prizes…. Third prize will be a digital pattern bundle, retail value $20. 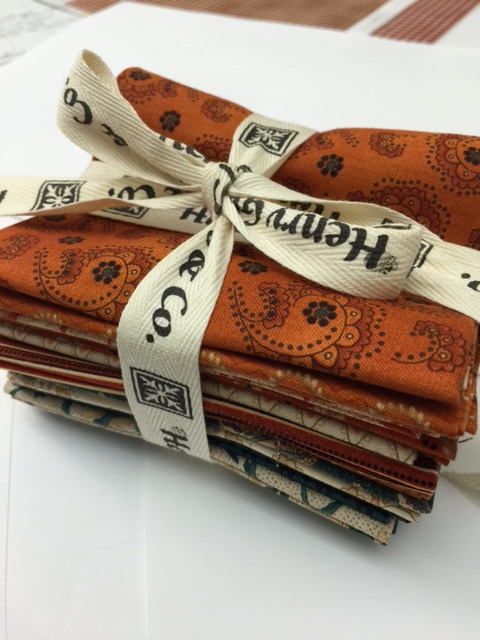 Second prize will be a fabric bundle courtesy of Henry Glass fabrics, retail value $30. I just looooooove this and I’m so excited! I’ve worked on some samples using some other fabrics, and I’m just waiting for the fabrics pictured above to come in so I can start working on the main sample which will be made into kits and available for sale. I think you are going to love this one! It will once again feature options for applique, embroidery, or just piecing. OK everyone- start your engines (your sewing machine engines, that is!) Good luck! 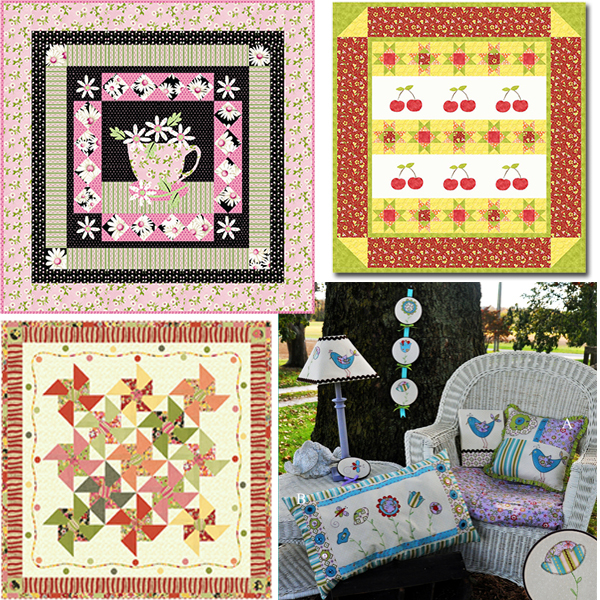 This article was posted in Block of the Month, Giveaways & Contests, Sewing & Quilting. Bookmark the permalink. Follow comments with the RSS feed for this post.Post a Comment or leave a trackback: Trackback URL. Looks like I need to get busy making my BOMs so I can enter this I would love to win, never won anything, so it would be nice..even to place. Love the prizes too. Ohhhh !!! I can’t wait to join in the fun again… Excited!!! Thanks again for all of your hard work to make this so nice for so many people, whom you’ve never even met. Your a special gal, and I appreciate you! I have to get busy and catch up. I’m busy working on the blocks. I’m now working on the applique of the centers for the blocks. I can’t seem to find the directions for the borders. I’ve looked through the email several times and just don’t see the link. one more block left and then the borders – this gives me time to try something different with borders. Then I want to make the cherries (pattern above) ! but I’ll take any of the prizes. Very generous giveaway and great motivation for all. Thank you! Thankyou Jacqueline for extending the closing date – now I will get my quilt finished in time! I’m inspired by all those other ladies who have photographs of their gorgeous quilts on your Facebook page – they all look so good. almost there!! life got in the way again!! I love doing BOMs. Thank you for the giveaway. I am looking forward to your next BOM. You are so artistic and creative with your patterns and fabric. 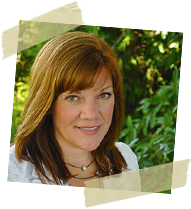 Thank you for sharing so generously of your time and expertise. So excited about the upcoming QAL! Thank you for the opportunity to win some great fabric. Looking forward to your new block of the month. Good excuse to buy more fabric. Love Sew Sweet BOM due to its simplicity, size, and diversity. Really like incorporating both embroidery and applique. You’re very meticulous in your pattern block instructions. Thank You! Am I too late to join this? I have never joined in on something like this before, and hopefully still have the opportunity. Thankyou. So much beautiful & inventive very nice, i truly appriciated :) and can’t wait for Next! !